Didn’t I tell you that I got “Cukai Terlebih Bayar” from my income tax return already? Well, I’m thinking of spending that on something. Looking back at the gadgets that I owned, I have been a user of iPad for so long. I also used to own Android tablet in the past as well. 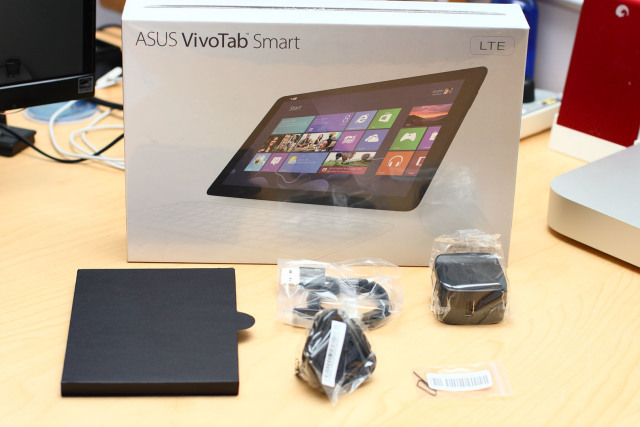 Now, comes a new category – Windows 8 tablet. The idea of having full Windows system that you usually use at desktop or laptop on an ultra portable device is very interesting to think of. But at the same time, it is scary to think that you are closer than ever to work emails and all the tools that you use at work. 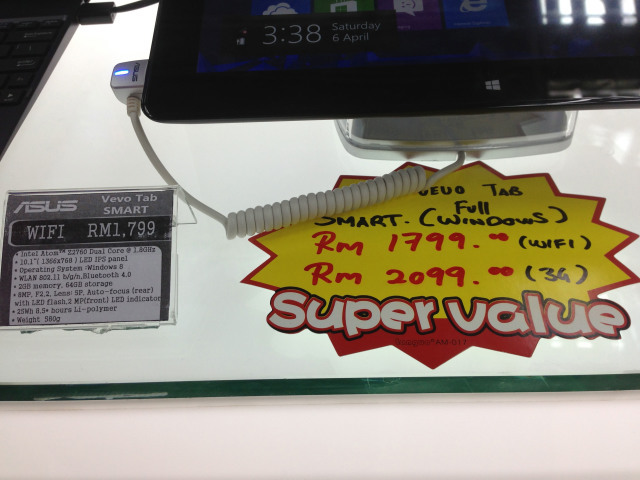 From what I see, at this time, following are the devices to choose when getting Windows 8 table in Malaysia. 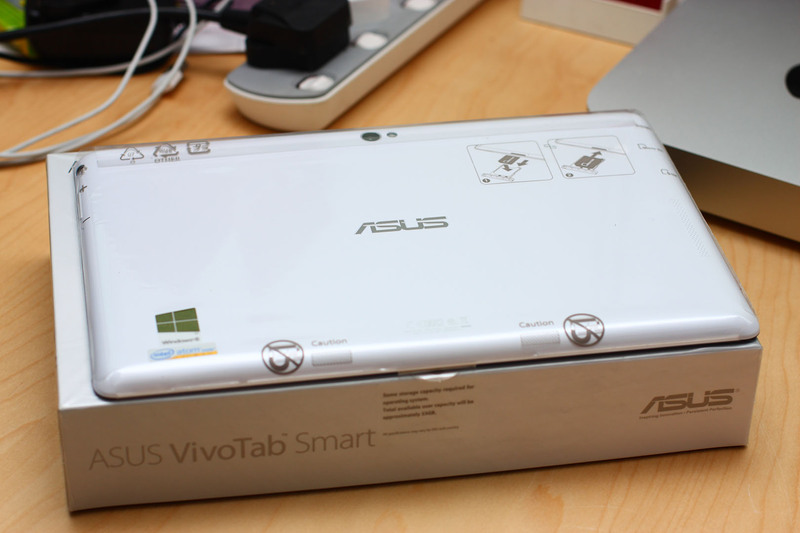 I was going for Acer Iconia initially, but after more reading while surveying, decided to get ASUS VivoTab instead as it received quite a good review. Now, comes another dilemma – which one to choose. There are 2 models on display here for ASUS VivoTab. The first one is VivoTab Smart using full Windows 8 and another one is VivoTab RT using Windows 8 RT. 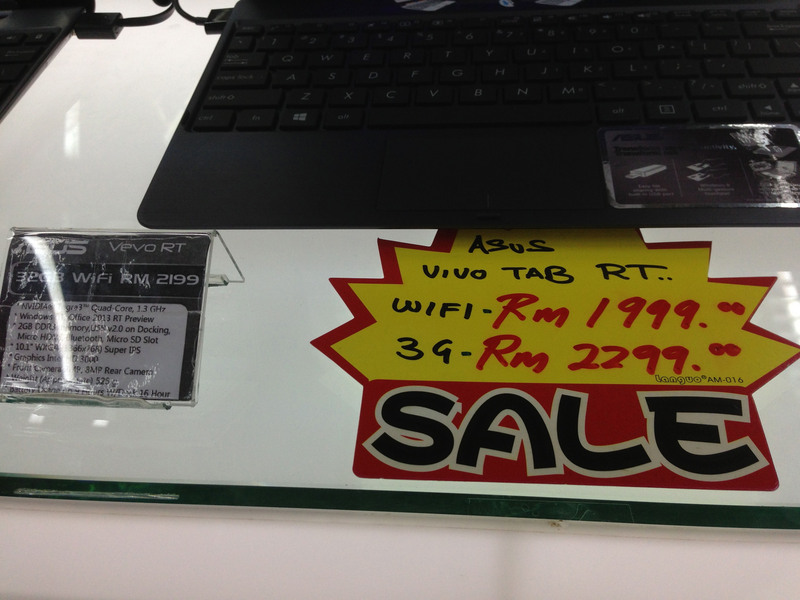 And I was about to go for VivoTab RT since the screen is brighter, and it comes with keyboard docking. But wait. What’s the different between Windows 8 full and Windows 8 RT? I stop by for a while having a drink while reading more about this before I made my final purchase. This is what I found from Wikipedia about Windows 8 RT. 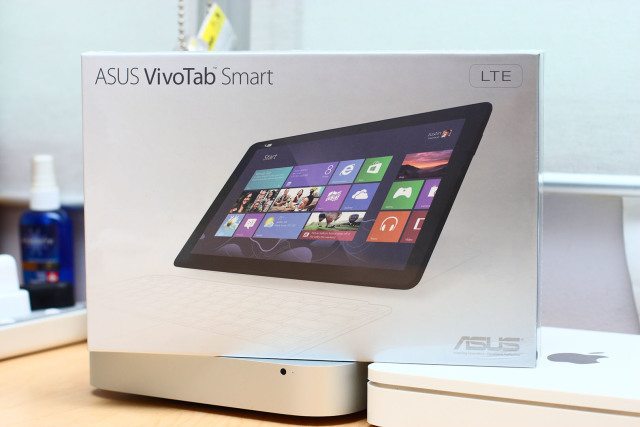 Windows RT will only be available pre-installed on ARM-based devices such as tablet PCs. 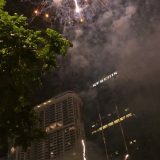 It will include touch-optimized desktop versions of the basic set of Office 2013 applications to users – Microsoft Word, Excel, PowerPoint, and OneNote, and support device encryption capabilities. Several business-focused features such as Group Policy and domain support are not included. Windows RT only runs third-party software bought from Windows Store. Desktop software that run on previous versions of Windows cannot be run on Windows RT. According to CNET, these essential differences may raise the question of whether Windows RT is an edition of Windows: In a conversation with Mozilla, Microsoft deputy general counsel David Heiner was reported to have said Windows RT “isn’t Windows anymore.” Mozilla general counsel, however, dismissed the assertion on the basis that Windows RT has the same user interface, application programming interface and update mechanism. Phew! I’m so glad that I read this before I made the purchase. Windows RT will only run third-party softwares that are available from Windows Store (apart from Office 2013). It can’t run any other desktop software that you normally run on PC or laptop. So I have a winner for today. 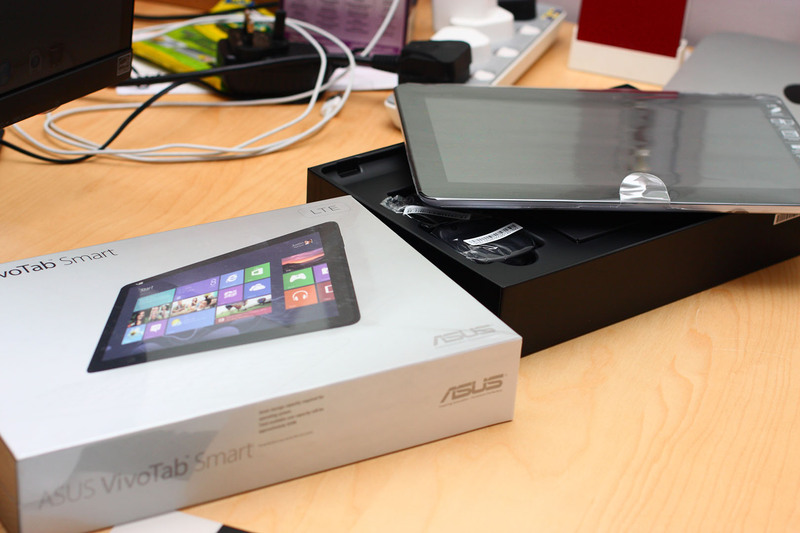 I’m getting ASUS VivoTab Smart. I’m going for LTE version for the same reason of why I’m getting LTE version for iPad. Here some of the things that are included in the box – power adaptor, SIM tray eject tool, USB cable and a box containing some documentations. 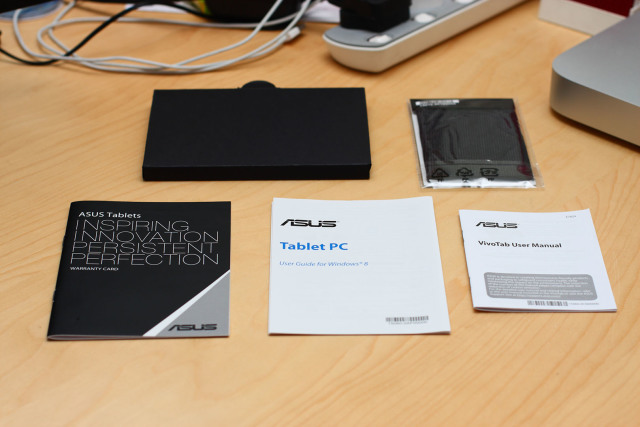 Here are the contents of the box – a series of documentation as well as micro-fibre cloth. As for the color choice, I’m going for white again to complement my white iPad and white iPhone 5.
perghh.. lama gile tak baca your blog.. So, mcm mane performance your asus vivotab? 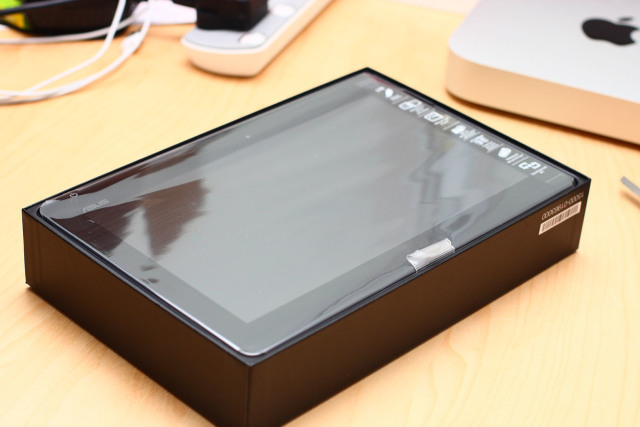 Since your background is market researcher, do you u use this tablet for your daily works? tablet ni boleh run software technical analysis tak? The one that I’m getting is just using Atom processor. If you plan to do intensive task, kena ambik yg processor dia i3.